Is there evidence or examples of good businesses following biblical principles? Biblical principles include faith, morality, law, education, and liberty are all of the elements of a solid economic foundation of any nation that seeks to be prosperous (See the National Monument to the Forefathers, built and dedicated during the late 1800s, is near Plymouth Rock and has simple imagery of the great wisdom and prosperity foundation of our founding era). On the hunt to find more American biographies of Christian businessmen and women, I’ve discovered some biographers write less about or skew their subject’s Christian roots and views. One such businessman is George Westinghouse Jr. (1846-1914) whose biography, George Westinghouse: Gentle Genius, categorized his business habits as “socialist” or “puritanical” versus the reality that Westinghouse had a biblical view of business and the marketplace. Westinghouse was an American entrepreneur and engineer based in Pittsburgh, Pennsylvania. He gained his first patent at the age of 19, invented the railway air brake, and was a pioneer in the natural gas and electrical industries. While most business books and stories rave about Thomas Edison’s 1,093 patents, you’ll find that Edison’s big ego wanted his name on as many patents as possible. He also considered DC current the best for commercialization versus George Westinghouse/Nikola Tesla’s AC current. Edison used “bad press” in an attempt to discredit AC current in the “War of the Currents.” Edison lost, Westinghouse/Tesla won, and the American customers won, too. Westinghouse’s “American operations grew at a faster rate” than other industrialist companies because his essential leadership secret consisted of hiring managers who not only lead others but lectured and trained them. His other most enduring cultural secrets “were invention, innovation, employee loyalty, respect for intellectual property rights, and aggressive research and development.” He “didn’t believe that corporations had rights over individual innovation. To Westinghouse, the individual owned all rights to and rewards from any invention.” This was in stark contrast “in the Victorian era, which trampled on individual rights for more profits and industrial ‘efficiency.’” Westinghouse attracted the best and brightest even during times of labor shortages. He competed to win but did not want the trophy. He was truly a “Level Five” leader described in the book, Good to Great, by Tim Collins, not the fourth and third level leadership of Edison, Morgan, and Carnegie. Westinghouse went on a trip to England to study railroad signaling. He observed first hand the industrial slums of poverty which Charles Dickens wrote about in his novels Bleak House and Oliver Twist and which had come to America in its mill towns. Westinghouse also followed with interest Robert Owen (1771-1858), who became a wealthy textile manufacturer entrepreneur and investor. He was one of the founders of utopian socialism and the cooperative movement. He designed a model community in New Lanark, Scotland which was profitable and countered the harsh industrial labor practices of the industrial revolution in England. It got the attention of industrialists around the world. Westinghouse’s new plant and company town of Wilmerding, PA was similarly designed. But it was less utopian and more biblical and competitive and neighborly with “community” as foundational to productivity. His approach was not unlike the productivity and societal results achieved by the Guinness beer family in the book The Search for God and Guinness. The Westinghouse plant was built to integrate with the community and to be a safe environment with good lighting and ventilation, but he also built the town to complement the factory. It became an international model for industrial towns. Time after time his highly motivated engineers bested Edison’s/J.P. Morgan’s General Electric. Westinghouse actually “deplored straight, indiscriminate charity. He viewed himself as an industrial leader, not a trustee of the community’s money.” He pioneered mutual and disability insurance plans and welfare benefits with Westinghouse companies self-insurers using the company’s financial resources as collateral. The person who takes charity thinks himself inferior. The donor feels superior. I would rather give a man a chance to earn a dollar than give him five and make him feel he’s a charity case. 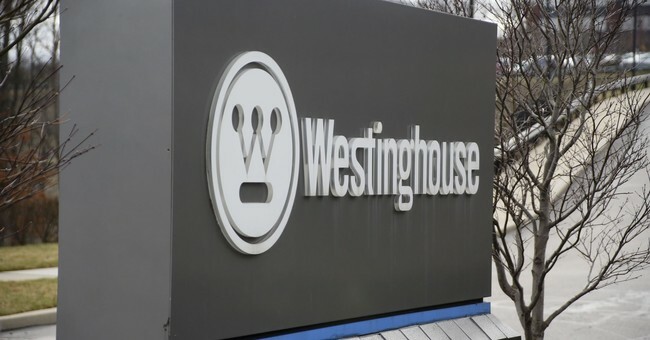 Westinghouse viewed business and workplace fairness as integrated, not motivational. He’d often reach into his own pocket to help employees. Whether planning and building houses sold to his employees at cost or pay for employee medical treatments and pay their wages until they were fully back at work. Yet this gentle industrial giant was tough. An employee “boasted to some of his boon companions how he had ‘played it on the Old Man.’” for a homesick “free trip” to his hometown in Austria. Westinghouse sent him packing looking for other work once he heard about his scheme to play on his sympathies. Westinghouse’s approach was unique compared with other industrialists, he had a passion for the team that made him a success regardless of their social demographics. Adam Smith wrote about the distribution of wealth in Wealth of Nations, “What improves the circumstances of the greater part can never be regarded as an inconveniency to the whole. No society can surely be flourishing and happy, of which the far greater part of the members are poor and miserable.” Westinghouse preferred not give food to the poor, but tools and jobs. He didn’t believe he was a steward of funds, as Andrew Carnegie did, but the wealth of Westinghouse was mostly distributed through his factories in house ownership, pensions, health expenses, and social needs and giving directly by educating his employees, including newly arrived immigrants. In the end, Andrew Carnegie was loved by the community and hated by his employees, while Westinghouse was loved by his employees and unknown to the general community of the Pittsburgh area. While Carnegie showed how to love your neighbor for yourself, Westinghouse showed without the fanfare of expectations of productivity gains that God would bless a business if it followed biblical principles, to love your neighbor as yourself, in your business and your community.